An age-old questions asks: If you could go back in time and kill baby Hitler, would you? Thanks to a slew of new Hitler-casual photos coming out next month, we can finally answer with a resounding yes. Talk about a crime against fashion! The photos themselves were found in a Nazi-era fanzine called Deutschland Erwache (or Germany Awaken) that's finally being published 70 years after it was first discovered. 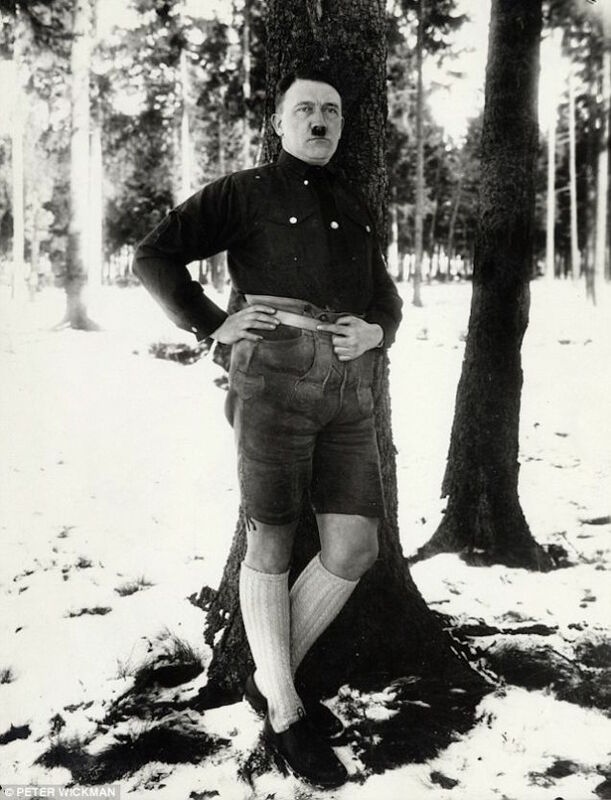 Apparently, the Fashion Fuhrer himself wasn't particularly fond of his short pants, and called the woodsy-chic snaps "beneath one's dignity." I couldn't disagree more. 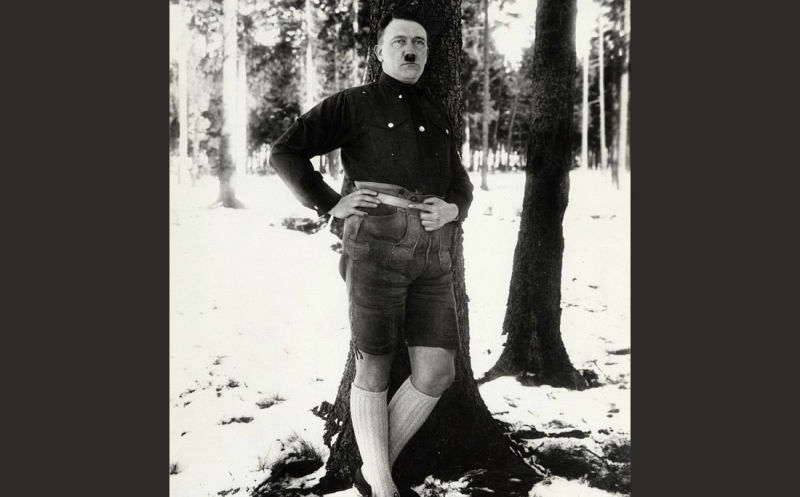 Hitler seems ill at ease [in the photos], with his hands, squeezing them into his tight lederhosen pockets in one photo, and perching them awkwardly on his hips in another. In one ridiculous picture, he tilts his head and tries a mean and moody stare to camera, topped off by a military cap. .... 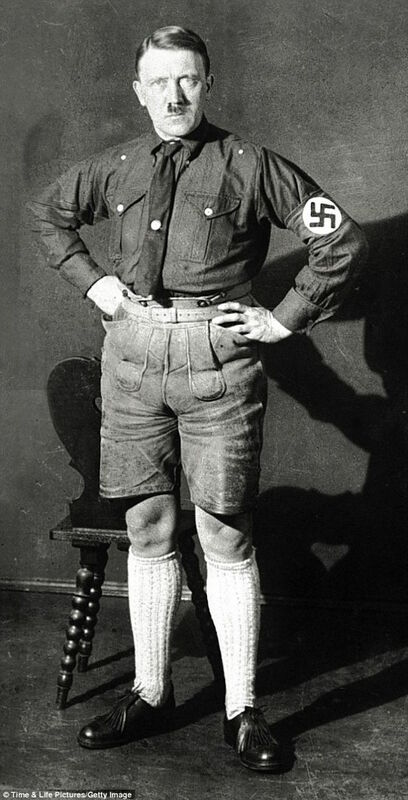 In another photo, Hitler tries to strike a casual-yet-serious pose as he balances on the edge of a log cabin veranda showing off his knobbly knees. The woodland photoshoot exists thanks to Hitler fanboy and henchman, Baldur von Shirach, who saved many of the photos Hitler would have otherwise discarded. You can see the whole, translated Hitler 'zine later this month under The Name the Rise of Hitler, or you can check out the next issue of Abercrombie Quarterly.